The reality of the new world order is clarifying with this morning’s headlines. The Trumpies are reaching out to the right-wing parties in France, Germany, Hungary and Poland. Putin’s Russians have acknowledged that they were “in contact” with the Trumpies throughout the campaign. And the Trumpies are getting chummy with Erdogan in Turkey, who just arrested the opposition legislators in the Turkish Parliament and assumed dictatorial powers based on what looks like a “false flag” coup, staged by his own agents to gin up an excuse to give him free reign to become dictator for life. He’s arrested tens of thousands, fired over 100,000 teachers, cops, military officers and judges, shut down most of the opposition media and censored Turkey’s internet. Erdogan is demanding that the U.S. extradite the alleged perpetrator of the alleged coup, a cleric who hasn’t been in Turkey in twenty years who somehow orchestrated a military coup from his farm in the Philadelphia suburbs. If you’ believe that, I’ve got a bridge to sell you. Are the Trumpies going to extradite him, human rights be damned? My bet is yes. Strong leaders gotta stick together, doncha know. What’s seems to be jelling is the fascistic support of various authoritarian regimes for the interests of their fellow authoritarians, kind of like the old Axis Powers: Nazi Germany, Fascist Italy, and Samurai Japan who were the best of buddies. And then of course our very own F.B.I. stands accused of swinging the election to Trump. You want a good conspiracy theory, here’s the granddaddy of them all. I’ve watched politics closely all my and there is no question in my mind that the FBI’s intervention made the difference. A total BS story took over the news at a critical choke point of the election. Whoever thought it up and pulled Comey’s strings changed the fate of humanity. Comey’s name should endure in infamy in the annals of treason. My question is: who pulled Comey’s string? HURRY! Click here for your very own own Mussolini—Trumpolini bumper sticker before it’s too late! There has been a lot of talk about Trump’s uncanny resemblance to Benito Mussolini, the Italian Fascist known as “Il Duce” (the dictator). Their facial features and mannerisms are strikingly similar, and Trump’s politics are following Mussolini’s playbook. Mussolini’s Black-Shirt Fascists came first and led the way in Italy ten years before Hitler’s Nazis came to power in Germany. Mussolini’s Black-Shirts weren’t quite as murderous as Hitler’s Brown-Shirt Nazis; they were more a kind of Nazi-Lite, like low-power beer. I’ve been trying to look on the bright side, thinking what aspects of our lives might improve under the benevolent reign of Donito Trumpolini. 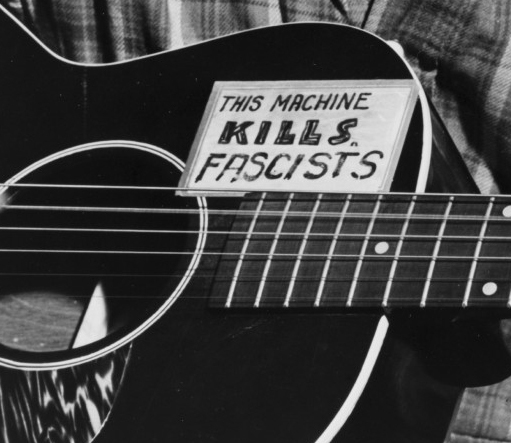 The angst and anguish which have been unleashed will find their way into music real fast, giving fodder for songwriters like me who write political songs nobody ever listens to. Could there be a folk music revival, with post-millenial teenyboppers flocking to music stores by the millions for their first guitars? Perhaps fear of Trump will stimulate the sales of my micro-company’s flagship products, music education posters? 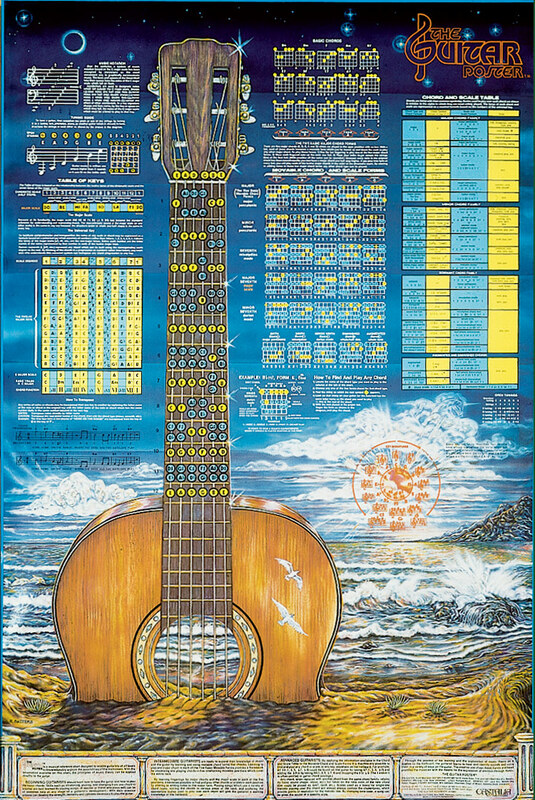 The Guitar Poster™ was hot back in the day because it Puts the answers on your wall! But posters ain’t what they used to be, and now the answers are there for free on your iPhone and YouTube. But if Trump dumps net neutrality that could change. What else might improve? Oil and coal stocks will go up for sure, so those investors are thrilled. The bond market is sure to be affected by the prospect of America stiffing its creditors by defaulting on payments. Investors have always trusted U.S. Treasury bonds as the only truly safe refuge for capital, and the notion that America might not keep its word is certain to goose interest rates. And gold, the ultimate safe refuge, should do very well when everything else starts falling apart. It’s interesting that the gun makers aren’t too pleased with the way things are turning out. Even though their guy won, the day after the election Smith & Wesson stock nose-dived fifteen percent. I guess investors figure that without the specter of a shrew like Hillary in the Oval Office, and Donito in the White House to deliver them from evil, that demand for fire power will slump. Exactly one year ago this month I was trying to figure out how to market my new novel on a shoestring budget. I finally had galley copies of the finished book in hand, but with 2,000 books published in the U.S. every day writing the book and getting it in print was the easy part. And even though my company has been around for 36 years and has published many posters, we (I still use “we” even though I am currently the only employee) have only published a few books and so the company still has the “self-published” stigma to overcome with reviewers. I suppose it’s a fair characterization since I wrote it, designed the layout, typeset the copy, hired the cover designer and emptied the company wastebaskets, but it means that chances of any books we publish getting reviews are close to absolute zero. I truly dreaded jumping into the social media world. It’s just not my style. I read an article by a writer bemoaning the state of publishing titled “Hell is Self-Promotion,” and boy does he nail it. I have hated Facebook for years and had no clue about Twitter or the others. Blogging, on the other hand, is something I might be able to get into. But to be just focused on promoting myself seemed like a punishment straight from hell. But if the novel was to have an even marginally better chance than a snowball in hell, I had to try to make it happen though social media. 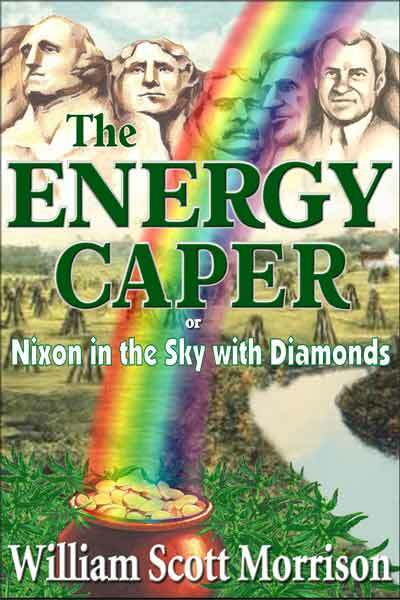 I needed a website dedicated to my two novels separate from the website for the posters. I’ve been working with the same web designer since about 2002, but I need to be able to do things myself with him as my coach and backup expert. I had taken several courses in HTML code and Dreamweaver ten years ago at the local JC and was making decent progress in doing my own site for my first novel, but family emergencies intervened and by the time I thought about going back to it several years later I’d forgotten most of what I’d learned. “You don’t use it you lose it” really applies to coding. In the interim iPhones had taken over, and most of what I’d learned a decade ago was obsolete anyway. Now sites have to be “responsive” to the different size screens of smartphones and tablets. In addition to needing a site for my novel, the site for the posters would also have to change to keep up with the smartphone revolution. I’m pretty handy with many aspects of using a computer as a publishing and writing tool, but like almost everyone I know who is about my age, I’m a novice at social media. I knew that I needed to learn about Facebook and Twitter and blogging to promote the novels. I also knew that if I really did want to control my own site the best way to do it was to learn WordPress, which since I took those classes has become the premier platform for websites because users don’t need to know code. Still, it has a steep learning curve. When I saw in the local JC’s Spring 2016 catalog that they were offering a course in Social Media that would cover Facebook, Twitter, and Pinterest while blogging with WordPress I signed right up. Shortly after that, I went to a writers’ luncheon and a woman mentioned that she had taken the class. I told her I had signed up and asked her what it was like. She said there wasn’t anyone in it under forty and that it was better taken with a friend so you can compare notes. So I convinced a recently-retired friend who is getting serious about his own writing that he needed the course, so he signed up. We’d make it a boy’s night out. The how-to books all say to set a publication date at least six months in advance so that review copies can be sent and other promotional gimmicks can be implemented. So a year ago I set the publication date for June 6, 2016, on the 50th anniversary of my graduation from high school. It seemed somehow appropriate date for a novel set in the Sixties in a fictional town just like mine. The date was far enough in advance that I should by that time have taken the course, learned the ins and outs of social media, and set up a website. In December the Republicans held their first debate, and when Donald Trump took it over I was struck with a brainstorm. I envisioned a bumpersticker with the international NO sign with the red circle and the cross-bar with Trump’s face behind it combined with my favorite term for his acolytes: “trumpies.” Like “hippies” and “yuppies” and “preppies,” it as a familiar ring to it as well as a slightly pejorative connotation. Don’t Be a Trumpie! I asked my wife, who’s pretty good with a sketch pad, to draw a caricature of Trump’s face based on a photo that I grabbed off the internet. 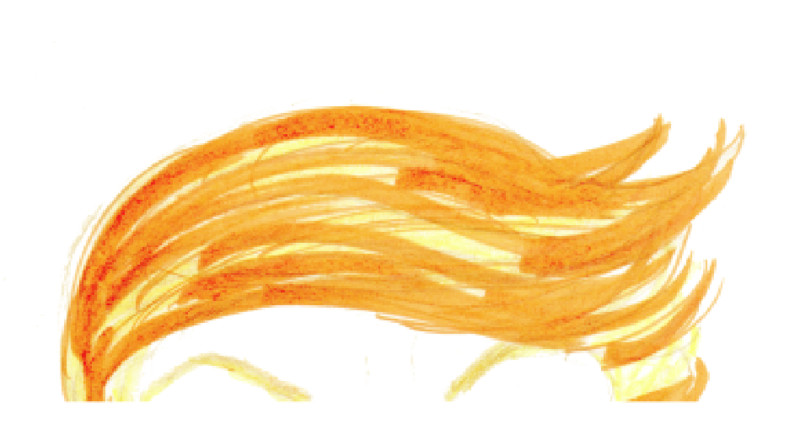 The whole face didn’t work graphically in the circle, but the hair did. I majored in political science and I have always been a news junkie, and in my business I’ve been in charge of producing a variety of graphic products. Here was an idea that combined politics and graphics in what is arguably one of the most powerful forms of political publishing—bumper stickers! And I’ve always been on the lookout for the next get-rich-quick product, the next Frisbee or Hula Hoop or Pet Rock (I once thought I’d found it with The Guitar Poster). I’ve learned enough about printing over the years to know that nobody’s ever going to get rich doing bumperstickers, but the prospect of jumping into social media and having products that might help defeat Trump made the project much more appealling. Technology has made it easy to turn designs into products and sell them in your own “store” on-line—coffee mugs, t-shirts, bumperstickers and the like can be made and put up for sale practically overnight. Maybe I could do this social media thing and actually have fun with it if I didn’t have to just flog my novels? There may be 2,000 books published every day, but there would only be one NoTrumpZone site with a novel tagging along, like a sidekick in a TV western. The marketing and publicity gurus all say to come up with approaches that are unique, interesting, and different. This fit the bill. It seemed worth a shot. Keep America Great – Don’t Be A TRUMPiE! (and buy my novel.) This could be fun! It was also more satisfying playing with graphics and coming up with bumperstickers and buttons and yard signs to defeat Trump than grinding out self-promotion fluff for the novel. If I had followed the how-to-promote-your-book advice I would instead have been spending my days on the big reading sites, like Goodreads.com and Librarything.org, and making “friends” on FaceBook, becoming part of a “community.” I have never been a “joiner” and marketing myself sounds to be about as much fun as going to the dentist every morning for a daily root canal. Coming up with new design combinations and slogans was much more interesting, and in a couple weeks I had a dozen or so products utilizing old artwork from projects of yesteryear and graphics that I found on the internet, like the American flag above.The puppy and kitty images on the book cover and PLAY NICE bumpersticker were part of an idea for a line of kid’s refrigerator magnets back around 1989 that never got off the ground due to lack of capital. It felt good to be able to repurpose old artwork which had never been used. I came up with a banner for my “store” and the first of the products were up for sale on the NoTrumpZone.zazzle.com site fairly quickly after I learned their system. I hadn’t started the class at the JC yet and still didn’t have my own website, but the the products were up for sale as “official” NoTrumpZone T-shirts, buttons, coffee mugs and bumperstickers. Hurry hurry hurry. Don’t be left out. Get yours TODAY! It seemed like a decent start to a marketing experiment, although there were already hundreds of Trump items available in other “stores” on the Zazzle.com site. Their how-to page says it’s up to the designer to drive traffic to the site. As usual, it’s all in the marketing. But that was okay because I was climbing a learning curve all the while figuring that the NoTrumpZone would become irrelevant and shut down as soon as Trump was knocked out in the primaries. I was actually hoping that he would stick around for a while as I still had no website and no way as yet to tie promoting Luck of the Draw to laughing at Trumpies. 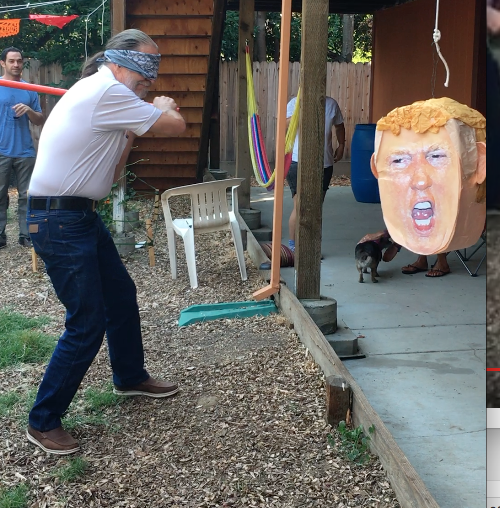 I was having fun mocking the Trump phenomenon in a way that might actually make a difference, a once-in-a-lifetime opportunity for a political junkie like me. 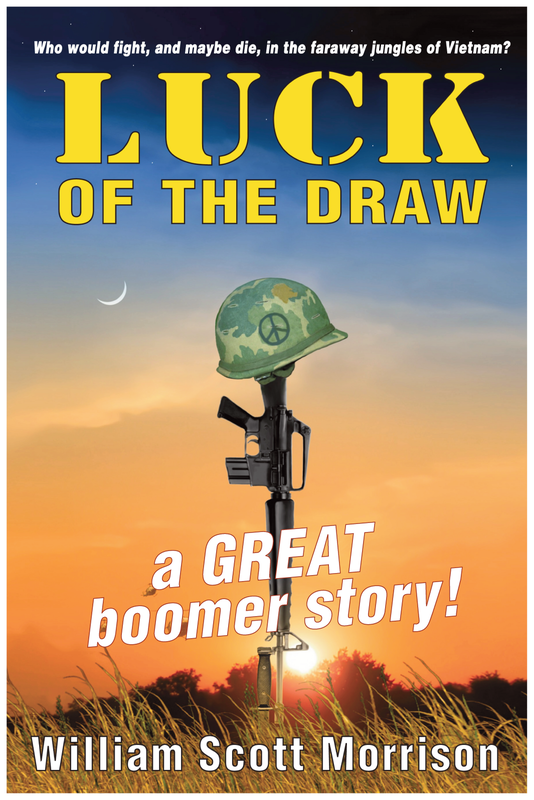 The fact that it coincided with my efforts to market my novels, which have political and historical themes that directly apply to the current election, seemed pure serendipity. As a bonus, if I actually followed through with a regular routine, in a year or so I should end up with enough material for a book-sized, real-time memoir of a very interesting year no matter how it went. All the book gurus say that memoirs are “hot” in publishing. So that’s what I’m doing now, collating all those blog posts and unpublished notes while commenting on the results of the election and my book promotion efforts. I thought this part of the project would be fun. It’s not. Next Post: Did I Try Hard Enough??? ?